Who IS that hiding? 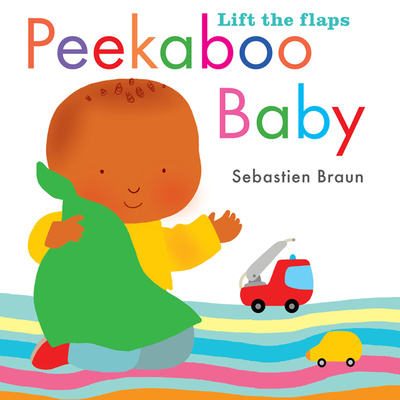 Lift the flaps to play peekaboo with babies! Is there someone under that big hat? Behind the stack of blocks? Beneath the blanket? Every baby loves playing peekaboo — and here is the perfect board book to keep the youngest of readers satisfied. Simple (and simply endearing) illustrations show partially hidden babies engaged in familiar activities, while shaped flaps are just the right size for little hands to explore. Babies will enjoy this playful peek.